With each Beer of the Month Club shipment you'll receive a twelve pack of four (4) different types of hand-crafted microbrewed beer in 12 ounce bottles. We'll deliver them brewery fresh to your home or office. Due to the alcoholic content of this gift, an adult signature is required upon delivery. Beer of the month cannot be shipped to AK, HI, MA or UT. Each month you receive a 12 pack of four (4) different types of fresh microbrewed beer in 12 ounce bottles. 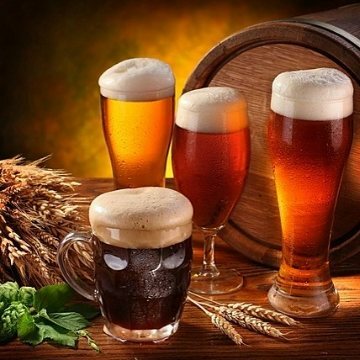 You will also receive our club newsletter "Beer Expeditions". You will receive your shipment by the 3rd or 4th week of each month. What are some examples of the beer I may receive? Great Divide's Denver Pale Ale, Local Color's Smooth Talker Pilsner, Butte Creek's Winter Ale, Snake River's Lager, Pony Express' 75th Street Brown Ale, Rock Creek's Devil's elbow India Pale Ale, Coast Range's California Blonde Ale, Rockies' Amber Ale. How is the beer packaged? To prevent breakage we package the beer in special styrofoam packaging. How is the beer shipped? We deliver the beer thru our network via a Common Carrier. We prefer a daytime office address to ensure timely delivery. You must be 21 or older to receive a shipment of Beer. An Adult signature over 21 is required. Can I choose the beer I receive? No, all the beer is pre-selected for you. Each beer is carefully judged and approved by our tasting panel. Once you are a member, you can re-order a list of past selections at discounted prices. Where do the beers come from? All over the United States from small American microbreweries each month. Each batch we feature is freshly brewed for our members. What does "microbrewed" beer mean? These are specialty beers with more flavor than the mass-produced type. They are made in very small quantities and only available in the local town where they are brewed. They are all-natural and contain no additives or preservatives. How should I store the beer? We recommend refrigerating the beer once you receive it to preserve optimal freshness. If refrigerated, the shelf life is 8 to 12 months. If you do not refrigerate the beer, the shelf life is 4 to 6 months. Always store beer in a cool, dark place away from light.